West Coast litigation leader O’Melveny & Myers and U.K. Magic Circle firm Allen & Overy are in the final stages of discussions on a major trans-Atlantic merger. Management teams from each firm have spent recent months hashing out the details of a possible deal, with a number of conditions now expected to be agreed within weeks, according to several people with knowledge of the talks. Key terms currently being discussed include the combined firm’s name and how its pay system would be structured. One person said that a merged firm is expected to operate one profit pool. 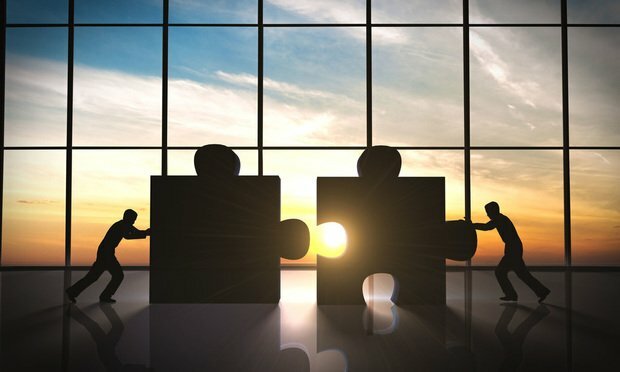 A combined firm is likely to run an amalgamation of the two firms’ systems in a flexible lock step style, which would have greater flexibility at the top in order to retain and attract stellar talent, the person said. A&O’s standard lockstep ladder runs from 20 to 50 points, taking 15 years to reach the plateau. However, the firm introduced a bonus pool for star performers in 2014 and broke lockstep to hire a number of finance partners in New York in 2016. The combined firm’s name is also being discussed. A number of hybrids of the duo’s names have been registered online, including allenomelveny.com, omelvenyallen.com, aom.com, aomm.com and allenmyers.com. It is not known whether those names were registered by the firms. A formal proposal document is yet to be sent to both firms’ partnerships, but Allen & Overy partners have been sent memos and can access information about the proposed terms online, several people said. No date has yet been set for a vote on the merger, and people at both firms stress that while talks have progressed to a late stage, a tie-up is not guaranteed. People have previously speculated that it would make sense for a vote to take place following the distribution of profits to partners. One person said high voting thresholds were required to get each side to agree. But positive momentum is building within the A&O partnership, according to one current and several former partners. A partner at one of the firms added that following meetings between partners at both firms, they felt there was a good cultural fit between the two sides. Last month, O’Melveny announced record financial results. Gross revenue at the firm increased by 8.5 percent, climbing just past the $800 million mark. 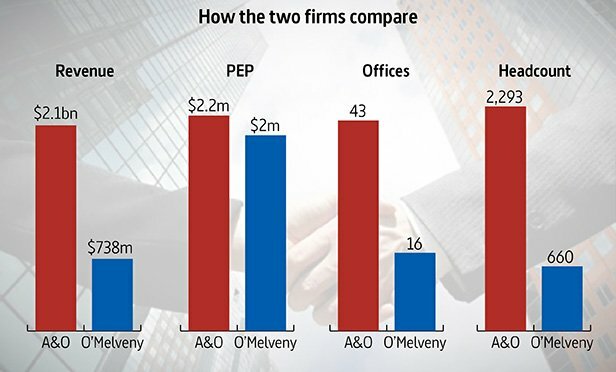 The firm’s revenue per lawyer rose 6.4 percent to hit $1.19 million, while a 12.6 percent increase in profits per equity partner (PEP) brought that figure to $2.26 million. A&O has not yet announced its results as its financial year runs to April 30. Last year it added $70.7 million to its top line to reach $2.05 billion, while PEP hit $2.2 million. Legal Week revealed the pair were in merger talks last April, before revealing subsequent meetings between partners in Frankfurt and Singapore. Paul Hodkinson contributed to this report.